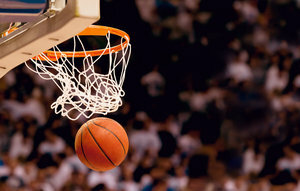 Host your team at our harborside hotel near Boo Williams Sportsplex! Boasting modern hotel rooms ideal for coaches, scouts, and players’ parents, the Hampton Marina Hotel offers all the on-site conveniences teams want on tournament weekends. Our full-service hotel boasts several eateries, a 24-hour fitness center, and a gorgeous location at the downtown marina. Book a group room block for your team! Drive 14 minutes or 4.2 miles from our hotel near Boo Williams Sportsplex. 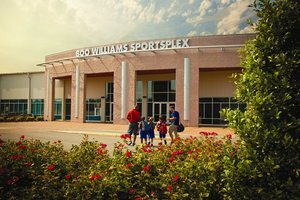 The fastest route is along S Armistead Ave.
Boo Williams Sportsplex is open 6 AM - 7 PM all year long, except for Christmas Day and New Year’s Day. Boo Williams was a prominent local basketball player that was inducted into St. Joseph’s University of Philadelphia Hall of Fame and an important youth sports advocate in Virginia. This 135,000-square-foot indoor sports facility is one of a kind in Hampton, with space for basketball, volleyball, and track and field events. Boasting an IAFF-Certified synthetic surface, this six-lane indoor track also has areas for long jump, pole vault, and triple jump. See the floor plan to find your way around the complex. In town for the Mid Atlantic Power League tournament, Nike Girls, or another AAU tournament? For AAU Basketball information and tournament details, check the Boo Williams Basketball website. Book your stay at our full-service hotel near Boo Williams Sportsplex in Hampton, Virginia!